PUBLIC SPACE WHO's IT FOR? 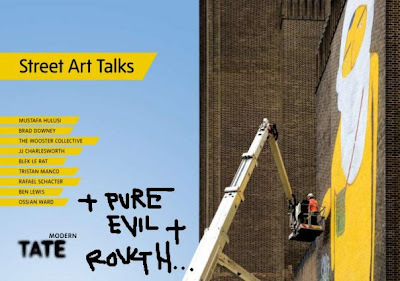 As part of the Street Art Event at the Tate Modern a series of Street Art Talks will begin this Friday 11th July. First up is a talk on public space titled "Public Space who's it for?" Who owns public space and what happens when artists take it in their own hands to develop it? Brad Downey and Mustafa Hulusi are both artists who have subverted the use of these spaces and will be present to explain why. For more info on these events visit the Tate Modern website. i just found this and now i miss london more than i have done in 2 years without it.